A call has been made for four-wheel-drive vehicles to be banned from Queensland's beaches. 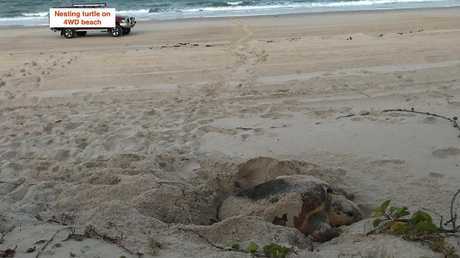 It comes from environmentalist Diane Oxenford who fears uncontrolled access of 4WDs at a popular beach north of Brisbane will cause erosion and destroy nesting grounds of endangered turtles. 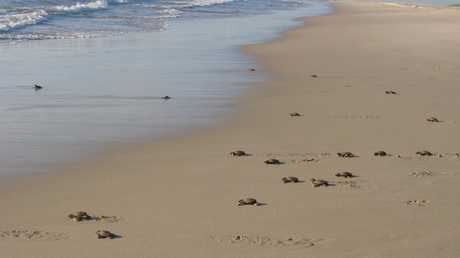 Thousands of 4wds drive along the internationally-protected Ocean Beach at Bribie Island every year. The Department of Environment and Science (DES) has admitted there is no limit to the number of permits they issue at one time at Bribie. 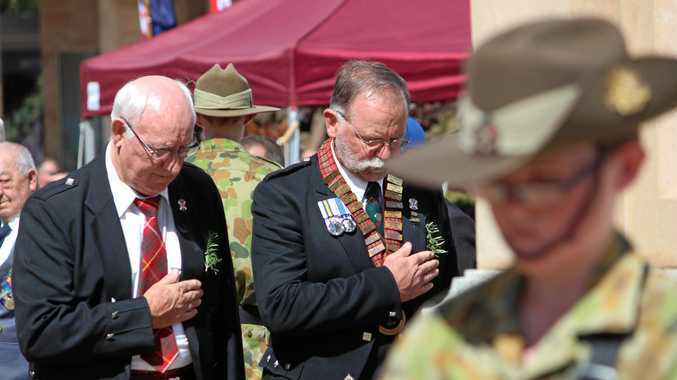 Mrs Oxenford, from the Bribie Island Environmental Protection Agency, said the use of Bribie's beaches for off-roading was an "out of control issue". "When they drive on the soft sand and dunes they break down wildlife habitat, especially migratory nesting turtles," she said. "Driving on dunes breaks down the vegetation and destabilises the dune system. Not to mention destroying wildlife habitat. "They leave ruts in the soft sand that baby turtles can't negotiate to get to the sea." Speaking more broadly Mrs Oxenford said she held concerns for all Queensland beaches. "From an environmental perspective, yes, 4WDs should not be driving on beaches," she said. 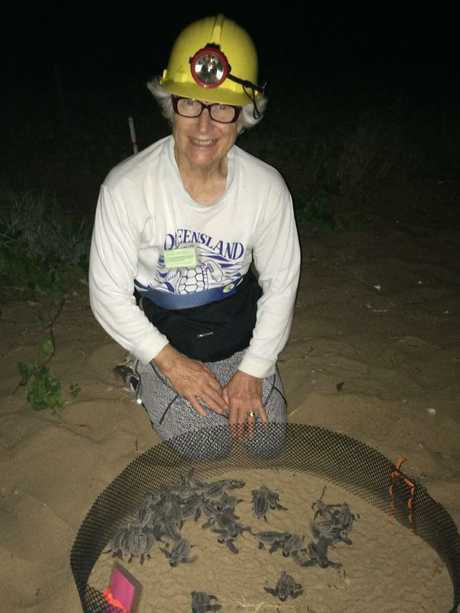 Bribie Island environmentalist and Turtle surveyor Diane Oxenford. "Studies confirm they compact the hard sand killing little ghost crabs pipis and micro-organisms, sterilising the beach so that when the tide comes in there is nothing for the fish to eat and when the tide goes out there is nothing for the birds to eat. "They destroy the stability of dunes and the habitat they provide for birds, turtles and wildlife." 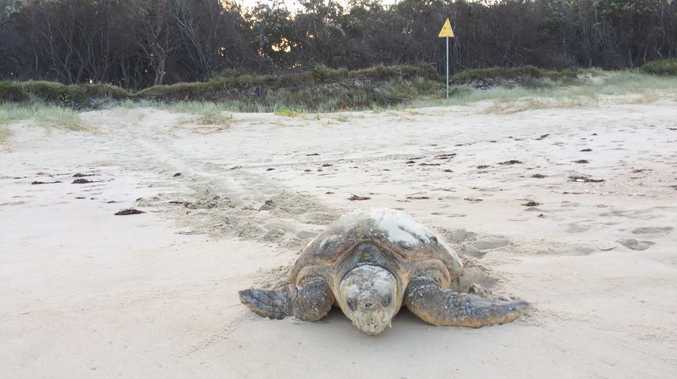 The 2018-19 turtle nesting season began at Bribie last month and typically runs through until April. The most common turtle to nest in the region is the endangered loggerhead turtle. 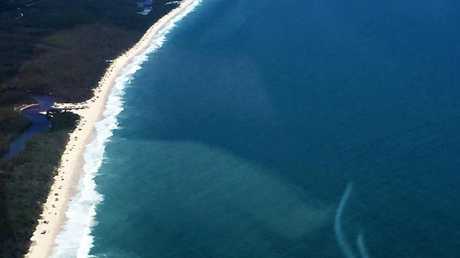 A DES spokeswoman said in the last financial year, 14,688 weekly permits and 11,889 annual permits were issued for Bribie Island but only 1501 of those were held by local residents. 4wd owner and Ningi resident Claire Beaven said she was forced to park on the dunes after a stream of vehicles blocked the narrow pathway. "It's ruining our leisure of living here," she said. "I think there needs to be some kind of rules and regulations." Ms Beaven spent an hour waiting for the line of vehicles to pass after getting half way home and having to reverse a couple of kilometres to allow 4wds coming on to the beach to pass. "No such thing as a quick beach run anymore," she said. "Not to mention the line-up and car park blockage at 8th (Avenue, Woorim)." The Victorian government banned the use of 4wds for recreation on public beaches and mountain areas in 1973. Queensland is the only state in Australia that allows uncontrolled 4wd access to beaches. Bribie Island's surrounding waters are part of the Moreton Bay Marine Park and with that Bribie's beaches, foreshore, mangroves, mudflats and wetlands are protected up to the Highest Astronomical Tide (HAT) mark. Bribie Island's fauna, flora and birds are protected by UN Conventions - Ramsar Convention on Wetlands (signed by Australia in 1993) and the Convention on the Conservation of Migratory Species (CMS) signed by Australia in 1991. Mrs Oxenford said allowing an unlimited number of 4wds on Bribie's beaches was an issue she had been fighting since 2013 to no avail. "Access to the beach by 4wds is uncontrolled and unrestricted 24 hours a day, 7 days a week," she said. "The Queensland government has a duty of care to the paying public, other stakeholders and the natural environment to recognise any risks and to mitigate them with respect to known dangers, hazards and destructive impacts on the protected natural environment - essentially to prevent ecocide."